Although not always recommended, original wills are frequently kept in a safe deposit box. They may also be left with an attorney or kept in a home safe with other important documents or items. If you have reason to believe you were named as personal representative and the will is in the decedent’s safe deposit box, and you are not authorized to enter it, petition the probate court for an order allowing your entry. Once located, present the will to the probate court along with a petition naming all beneficiaries and request the court to appoint you as personal representative. Letters testamentary signed by the judge give you authority to act on behalf of the estate in a manner that is in the best interest of the beneficiaries under the will. Some states require that a personal representative be officially sworn in by the court before letters are issued. Most wills are self-proving. Self-proving wills incorporate affidavits by the witnesses affirming that the testator, or will maker, signed the will in their presence, was over the age of majority and to the best of their knowledge and belief, was of sound mind at the time of signing. Most states allow self-proving wills to be admitted to probate and do not require witnesses to appear. However, there are instances where location of witnesses is necessary and these witnesses may be difficult to locate or may have died prior to probate. If the will was not self-proving or witnesses can’t be located, handwriting experts or other individuals may be required to testify. After being appointed by the probate court, determine funeral expenses, expenses of any last illness and all other indebtedness owed. There may be hospital bills, a home mortgage, taxes or car payment. Once you have determined who the estate owes and how much, begin the process of notifying them of probate by certified mail or other method. Most states also require that notice be published in a local newspaper for the benefit of unknown or unascertained creditors. Creditors generally have a statutory time after publication to file a claim with the court for monies owed or those claims will be barred from collection. Next, determine all assets owned by the deceased. The will may specifically reference real estate but it is less likely to recite in detail the personal property or items of lesser value. Laws may require that an inventory of assets be filed and made available to the beneficiaries and an appraisal provided to determine the value of real property or other valuable items. Once you have determined which and what portion of the assets will be used to pay liabilities, the will itself should direct how to manage the remaining assets. A personal representative has the responsibility of preserving assets during probate; therefore, make sure all real estate taxes are paid and a homeowner’s insurance policy doesn’t lapse. A disgruntled heir or beneficiary who feels she is being treated unfairly may contest the will or challenge probate. She may challenge the will based on mental capacity of the deceased at the time of signing the will, coercion or forced signing, or mistakes in the will itself. In lieu of contesting the will, she may merely challenge your actions, claiming you are breaching your duties to the beneficiaries. Unfortunately, these challenges may also be part of estate settlement. An estate administered in probate court when there is no will is also administered by a court-appointed personal representative. 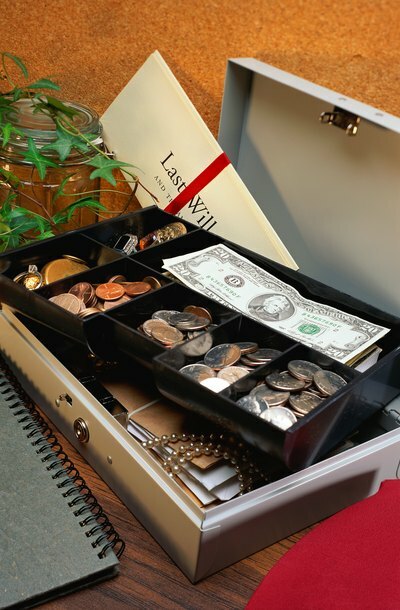 Absent a will, the personal representative’s powers come directly from state law and the court. Therefore, you may be required to obtain a court order to sell real property or other assets. Heirs inherit according to the state’s laws of intestate succession which determine who gets property of the deceased when no will exists. Spencer Law Firm, L L C: What Does an Executor Do? 2006 Alabama Code - Section 43-8-132 — Self-proved will - Form and execution; How Attested Will Made Self-Proved; Effect. Code of Virginia: § 64.2-452. (Effective October 1, 2012) How Will May be Made Self-Proved; Affidavits of Witnesses. BryanCaveFiduciaryLitigation.com: How to Prove a Will When Your Subscribing Witnesses are all Dead or Unavailable? National Endowment for Financial Education: Surviving a Suicide Loss, a Financial Guide: Settling the Estate, What Is the Probate Process if There Is No Will?